This week we are launching our latest seminar and workshop ‘All You Want to Know about Service Charges in Social Housing’. This seminar and workshop will be held at the Novotel Hotel at Waterloo on 20th May 2015. It is designed to give an introduction and overview to this important subject and is fully up to date with all developments. Service charges are an integral part of landlords’ work in financing value for money services and sustaining customer satisfaction. They have always been relatively complex but with increased financial challenges and legal and financial complexity there is an increased need to understand how service charging works. This has been highlighted only last month when an upper tier tribunal found against a local authority that had sought to make service charges to leaseholders for ‘improvements’ that the leaseholders considered to be unnecessary. Flats at Stockwell Park, Lambeth. Housing Associations have traditionally levied service charges with most local authorities in England introducing them in the ‘noughties’. In Wales, local authorities are currently in the process of introducing service charges as part of the Welsh government’s new rent policy. Across the United Kingdom the rolling out of Universal Credit is having an impact on benefit entitlement for service charges. This seminar and workshop is suitable for people who are not experts in service charges, but who need to understand the basics and achieve an overview of what is going on. It is suitable for councillors, board members, housing managers, finance staff, tenant representatives, members of the service charges team with limited experience and others who realise that an understanding of service charges can place them at an advantage! In Housing Associations and Local Authorities? How to ensure excellent customer service? I am writing this blog in the Travelodge at Waterloo where I am staying while doing some work with Community Trust Housing in Stockwell Park. 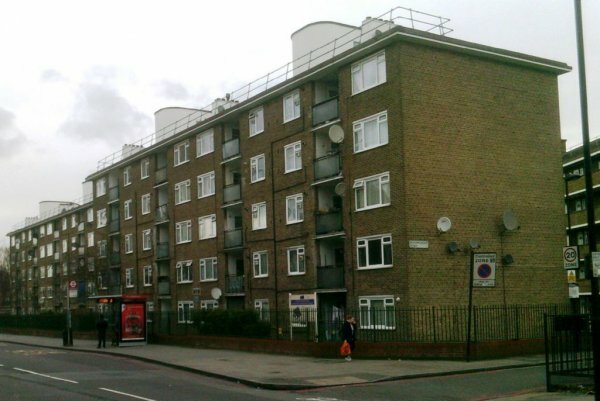 Community Trust Housing is a community-based housing provider that was established to regenerate the Stockwell Park Estate, Robsart Village and neighbouring street properties by delivering a £110million regeneration plan over nine years and is due to be completed in 2017. The master plan for the regeneration of the community is driven by the ambitions of residents. The vision sees the area as a healthy, safe and welcoming place. Community Trust Housing residents want good quality, well managed and maintained homes at affordable rents, in an area revitalised by good schools, improved parks and a wide range of community facilities. While the ‘open’ seminars and workshops are now completed, the session is still available as an in-house course. For more information please contact me at Adrian.waite@awics.co.uk or 017683-52165. What are the Implications of Self-Financing? As usual this session is proving very popular but there are still a few places available. For more information please click HERE. I am writing this blog in the Novotel Hotel in Cardiff where we will be holding our seminar and workshop on ‘Implementing Self-Financing in Wales’ tomorrow. I am very grateful to all the people who are supporting this event by attending and am looking forward to the day. I hope that everyone will find it useful. On Thursday I will be running the same session in Wrexham for the benefit of people in North Wales. While the session in Wrexham will be the last ‘open’ session, the seminar and workshop will still be available in-house. For further information about this please contact me at Adrian.waite@awics.co.uk or on 017683-52165. I was also in Wales last week to make a presentation on service charges at Wrexham County Borough Council. Wrexham County Borough is centred on the town of Wrexham in northeast Wales. It has a population of nearly 135,000 inhabitants. Just under half of the population lives either within the town of Wrexham or its surrounding conurbation of urban villages that has a population of around 63,000 people. The rest live to the south and east of the town in more rural areas. The area has strong links with coal mining. The housing office is located on the edge of the town and is shown below. Wrexham County Borough Council is a long-standing ‘AWICS’ customer. Another long-standing ‘AWICS’ customer – Basildon Borough Council - is in the news because of its decision to establish a housing company: Sempra Homes. It expects a £5.1million return on the initial £10.6million investment it plans for the housing company. The plans are consistent with the recommendations of the Elphicke-House review of what councils can do to increase housing supply. Croydon Borough Council has received three nominations for the Local Government Chronicle’s 2015 awards. These are for: Business Transformation; Commissioning Pioneering; and Housing. Croydon Borough Council frequently sends representatives to ‘AWICS’ seminars and workshops. Another long-standing ‘AWICS’ customer, Lambeth Borough Council, has also been nominated in the commissioning pioneering section. I would like to wish both authorities well. Last week I suggested in my blog that councils should consider seeking the approval of their residents for increases in Council Tax of over 2% to support and protect key services. I now understand that Brighton & Hove City Council is considering taking this step. I am sure that if they do this there will be many who will follow events with interest. Please click on the titles for more information. We are now well into the season when local authorities set their budgets for the following year including setting their Council Tax. This week’s ‘Local Government Chronicle’ reveals that, despite the government continuing to offer councils a Council Tax freeze grant, 42% of Councils are planning an increase in Council Tax. Indeed, in the Midlands and the Northeast a majority of Councils are expected to increase the Council Tax. A YouGov poll has found that 42% of the British public want the government to spend more on public services even if taxes increase to pay for it while only 14% want tax reductions at the expense of services. Perhaps the general assumption that the electorate would never support an increase in Council Tax of over 2% is not correct. I wonder which Council will be the first to test this! We intend to launch another new se-newsletter, the ‘AWICS Scotland News’ later in the year.